Other Outputs: RS232, IR in/out, Trigger, RF. 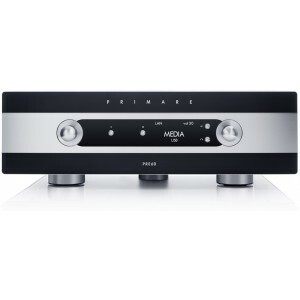 The Primare PRE60 Pre Amplifier is a reference quality audiophile pre amplifier, offering state of the art streaming performance and a jaw-dropping two-tone bodywork finish. Combining Primare's traditional stellar build quality and high quality analogue circuit design with the finest digital processing, the PRE60 offers a significant improvement over the 30 series, and offers a new high in audio performance. The PRE60 is designed to compliment all high end and reference level power amplifiers, but offers particularly impressive performance when paired with the A60 Power Amplifier. Featuring the same comprehensive OLED display and control parameters as the award-winning I32 integrated amplifier, the PRE60 is housed in a heavy gauge alloy steel chassis and features two pairs of balanced XLR inputs as well as 4 RCA inputs. Two pairs of RCA outputs as well as 2 pairs of balanced XLR outputs are included, as well as a record output, RS232, trigger and IR inputs. 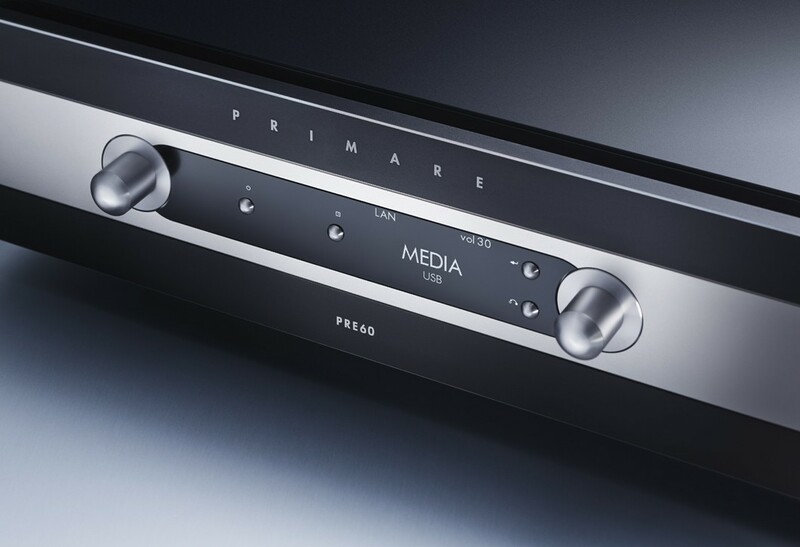 The integrated DAC/media board offers digital functionality and streaming options which can be easily controlled using the Primare APP for iOS and Android including input selection, volume control, file browsing and selection from online and stored music libraries.